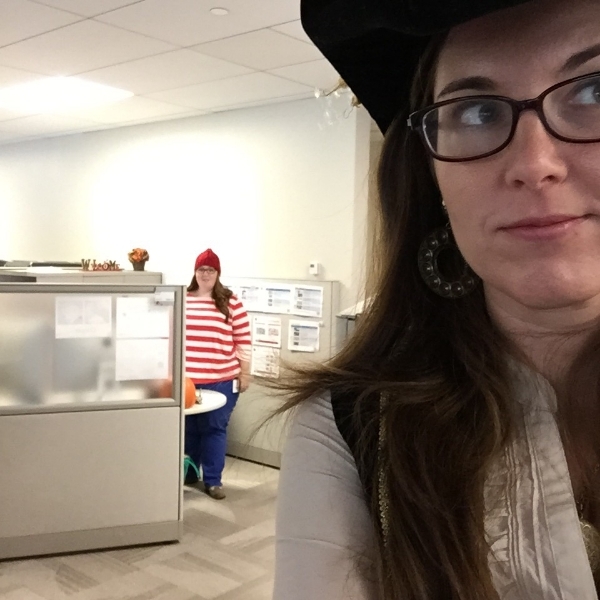 The day I accidentally dressed like Where's Waldo. So for Halloween at work this year I decided to go for it again. Those blue pants and striped shirt were at this point tucked way back in the closet it was time to break them out again. This was an easy last minute Halloween costume to pull together all I needed was a hat. Hope you enjoy just had to share! Can you find Waldo?